In his first 14 months on the job, the president hasn’t quite fulfilled that campaign promise. Trump began his tenure with a covert agent of the Turkish government as his top national security adviser, a neurosurgeon turned snake-oil supplements salesman as his head of Housing and Urban Development, and a 36-year-old real-estate heir — with no experience in government or policymaking — as his point man for veterans’ health care, criminal justice reform, government “innovation,” the Israel-Palestine conflict, and the opioid epidemic. Trump has himself evinced disappointment in his own personnel decisions, burning through senior staff members at a faster clip than any president in modern memory. 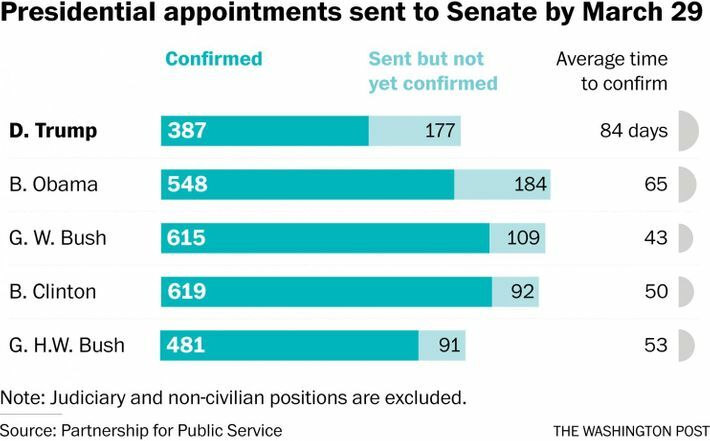 Meanwhile, the administration has left a historic number of lower-level administrative positions unfilled. And an unusually high percentage of the junior staffers whom they did hire have proven unable to pass FBI background checks, and/or been hastily escorted from the White House by security. The fundamental causes of the Trump administration’s personnel woes have long been clear. Donald Trump is not an expert in business management, just a real-estate heir with a gift for media manipulation. He put Chris Christie in charge of staffing his administration when it still looked like that administration would never come to be — then abruptly fired Christie and threw out all of his work, shortly after winning the 2016 election. And Trump spent most of that campaign portraying virtually everyone with conventional qualifications for running a White House as members of a corrupt political Establishment that had betrayed the American people. But on Friday, for the first time, we finally got some insight into the proximate cause of the White House’s personnel woes: The office in charge of staffing the White House is, itself, run by a historically small staff composed largely of 20-somethings with no relevant experience, a fondness for chugging Smirnoff Ice and vaping tobacco during office hours — and, in a few cases, forged résumés and criminal histories. • Under Trump, the PPO has never had more than 30 employees, which is less than a third of the number it had under his predecessors. • Most of those 30 are under 30 years old, and have no political or management experience beyond involvement in the Trump campaign. • Some of the people in charge of vetting Trump’s appointments lied on their résumés, and have histories of drunken, disorderly conduct (not that either of those things should render them unemployable for life, but still seems noteworthy). One of the newcomers was a former Trump campaign worker named Caroline Wiles. Wiles, then 30, is the daughter of Susan Wiles, a prominent lobbyist and political operative in Florida….The younger Wiles has an unusual background for a senior White House official. On a résumé she submitted to the state of Florida, she said she had completed course work at Flagler College in Florida. On her LinkedIn page, she simply lists Flagler under education. A Flagler spokesman said she never finished her degree … In 2005, she had her driver’s license suspended for driving while intoxicated, police records show. In 2007, she was arrested for driving while intoxicated and arrested for passing a “worthless check. 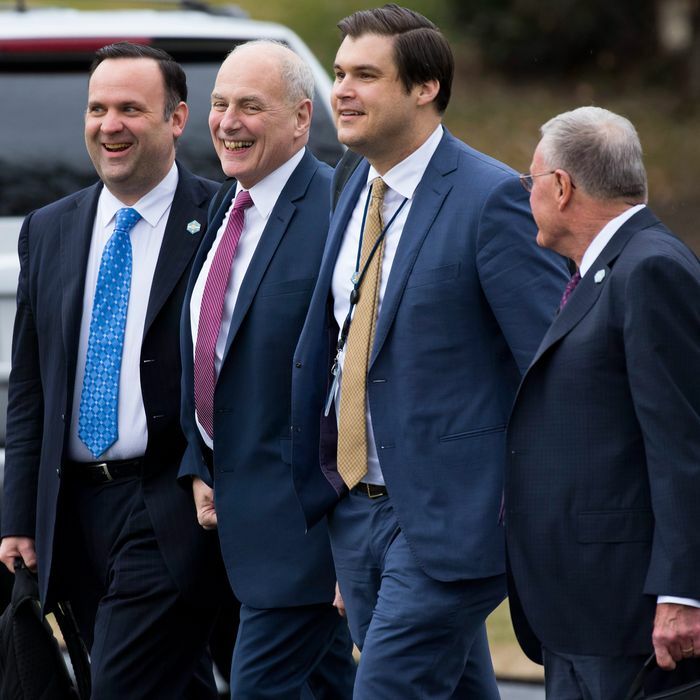 Another special assistant to the president is Max Miller, 29, a Marine reservist and former Trump campaign worker…Miller said he attended Cleveland State University from 2007 to 2011. A Cleveland State spokesman confirmed that Miller, who previously attended other schools, graduated in 2013… In 2007, he was charged with assault, disorderly conduct and resisting arrest after punching another male in the back of the head and running away from police, police records show…In 2009, he was charged with underage drinking, a case that also was later dismissed under a first offenders’ program. The following year, he pleaded guilty to a disorderly conduct charge related to another altercation in Cleveland Heights, Ohio. That episode was related to a fight involving Miller shortly after leaving a hookah bar at about 2 a.m. one morning. During the fight, Miller punched through a glass door, cut his wrist and left a trail of blood as he wandered off, a police report said. • Since the most senior and experienced member of the personnel office came onboard, four of her family members have been given jobs at federal agencies. She insists this is a coincidence. Since [75-year-old Katja] Bullock joined the Trump transition, four of her family members received political appointments to federal agencies. Her son became deputy assistant administrator at the United States Agency for International Development. His wife is a White House liaison at the Office of Personnel Management. Anyhow, the upshot is: The people in charge of hiring the White House staff are an even bigger mess than the White House staff. One can only imagine what the person in charge of hiring the people in charge of hiring the White House staff must be like.